Service is key in our organisation, we are available daily 24 hours, 7 days per week. For all your sideloaders operational today we can prepare a maintenance plan. The plan may start with a revision or modification of the existing sideloader. Components and parts used are always of the highest quality. And even more important; these are locally available and without any shielding by us as the manufacturer. Our extensive inventories and quick response (nightly delivery) will reduce the downtime. 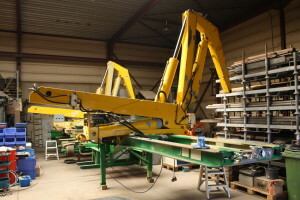 NICONLIFT sideloaders are delivered including “CE certification” and an “operational readiness inspection” performed at our facilities by the inspection authority ABOMA. A unique quality inspection label is placed on the sideloader, there is also provision for yearly inspection marks. Together with the full quality inspection report you are assured the sideloader can be operated safely. But hardware inspection alone will not guarantee safe operation. Right after the inspection we will deliver an extensive sideloader operator training on your preferred location. 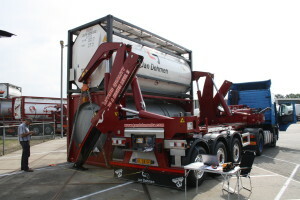 The training consists of two parts, the first provides the theoretical background of this sideloader as described in the operator manual. During the second part we show future operators how to handle the sideloader and they need to perform this afterwards to familiarize with this sideloader system. All above mentioned is delivered standard together with our new build sideloaders. But it could be delivered as an add-on service to increase the safety for existing sideloader systems you operate. We will be happy to provide you more information upon request.